​Paris Saint-Germain's recent shock loss to ​Manchester United in the ​UEFA Champions League round-of-16 had left many footballers shocked, most of all, Kylian Mbappe. And now, a family relative of the World Cup winner has stated that the Frenchman desires to play for reigning European champions ​Real Madrid. 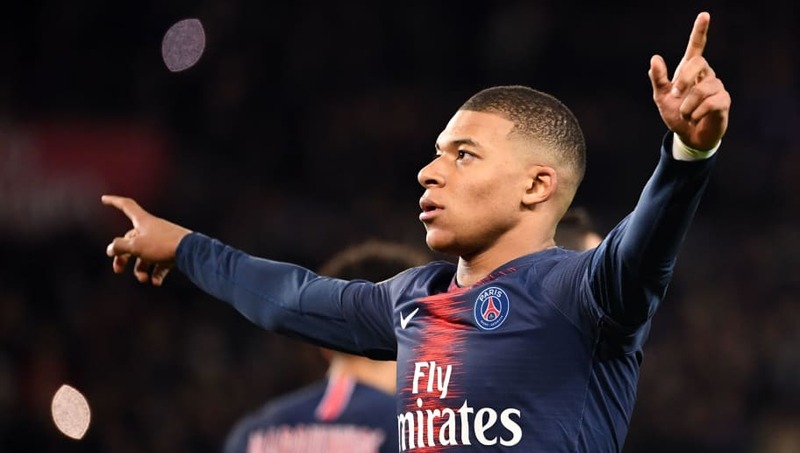 Rumours linking Kylian Mbappe as well as Neymar with a move to Real Madrid have intensified since the Spanish club's president Florentino Perez has iterated his desire to sign both players in the upcoming transfer windows. ​Marca report that while this was nothing more than a cheeky attempt to lure Mbappe by Perez, Paris Saint-Germain are readying themselves for a crazy summer as they will fight a war to keep their French forward at the club. • Kylian Mbappé sees himself playing at Real Madrid in the future, according to a relative of the player. Despite this, according to a relative, this matter may well be taken out of the French champions' hands, as was made clear in a 2017 interview the same relative gave to Le Journal du Dimanche. The family relative had quoted Mbappe's alleged words to him as, "If I go there [Madrid] at 18, what will I do at 23?" Mbappe allegedly told his relative. The relative himself further said in conclusion, "I see Mbappe playing for Real Madrid."